The Historical Society of Ridgeland recently presented a new brochure, “Travel in Time”, to the public at a recent Mayor and Board of Aldermen Work Session. 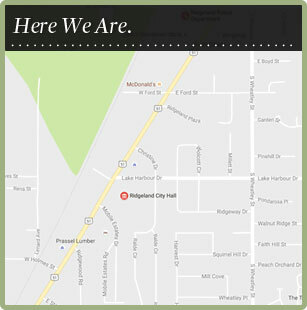 The Society partnered with Ridgeland Tourism Commission and the City of Ridgeland to produce the brochure which serves as a historical record and guidebook to Ridgeland’s history. Copies are available at Ridgeland City Hall, Ridgeland Tourism Commission, Ridgeland Public Library, and the Ridgeland Chamber of Commerce. Pictured, from left: City Planner Matt Dodd; Donna Dye, Historical Society Officer; Pat Truesdale, Historical Society President; Nancy Batson, Historical Society Vice-President; and Mayor Gene McGee.